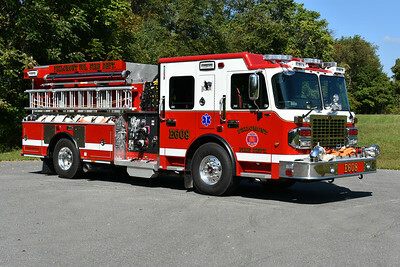 Photographed shortly after being placed into service in Philomont, Virginia (Loudoun County) is Engine 608, a 2017 Smeal Sirius with a 1500/750/20A. Serial number 714080. An officer side view of Philomont's Engine 608, a 2017 Smeal Sirius. A county purchased tanker is also stationed at Philomont and is Tanker 608. It is a 2006 International 7600 completed by 4-Guys in 2007. 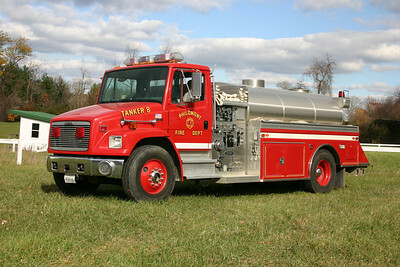 Equipped with a 1500/3000, it is one of three similar tankers purchased by the county in 2006. 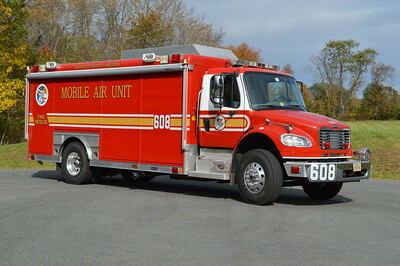 This is Loudoun County's Mobile Air Unit 608 which operates from the Philomont station. MAU 608 was originally in service as MAU 623 in Ashburn. It transferred to Philomont in August of 2015. 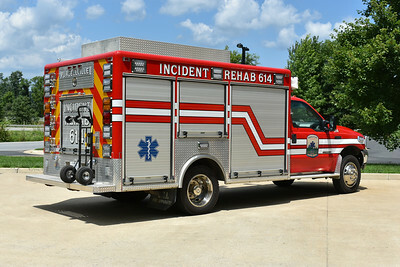 This MAU is one of eight similar vehicles delivered to a variety of departments around the Washington D.C. metropolitan area. It was obtained via a 9/11 grant. It is equipped with a 75kw generator, a 19' light tower, 100 SCBA bottles, 20 SCBA's, and three filling stations. 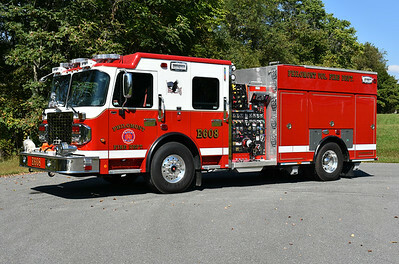 Philomont's new Brush 608 was photographed shortly after entering service in September of 2012. 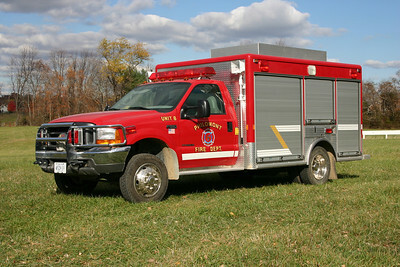 FastLane, known for their command units and located in nearby Purcellville, built Brush 608. 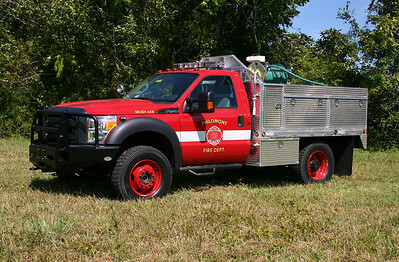 Brush 608 is a 2012 Ford F450 4x4 equipped with a 350 gpm pump, 250 gallons of water, and a 15 gallon foam cell. That yellow hose is not the booster reel. An interesting feature of Brush 608 is the forestry hose mounted on a hose reel. A back end view of Brush 608. Other features include heavy duty wheel upgrade kit and a 10,000 pound winch. Command 608 is this 2008 GMC Yukon. Philomont does not have an ambulance/medic unit assigned to the station. 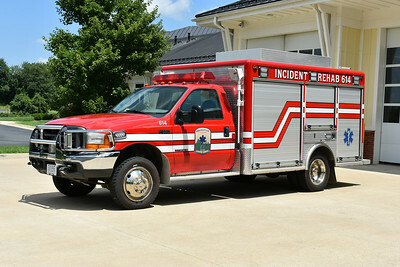 As a result, SERV (Special Emergency Response Vehicle ) 608 is used as an EMS first responder. 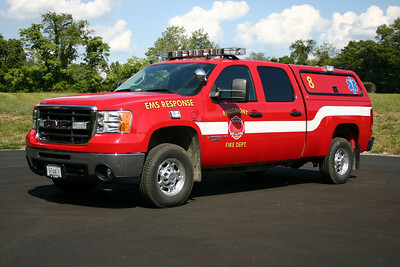 It is a 2008 GMC Sierra equipped by FastLane. The pull out shelving unit for Philomont's SERV 608. 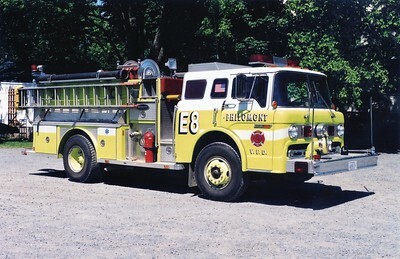 Old Engine 8 from Philomont was designed to be versatile during inclement weather. 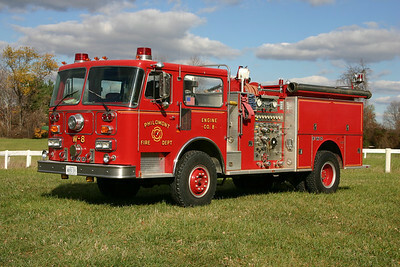 It is a 1987 FWD/Seagrave equipped with a 1250/750. 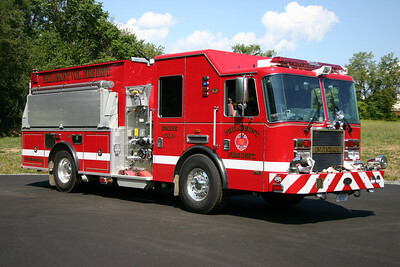 Engine 8 was sold in 2009 to the West Hickory Township, PA fire department. 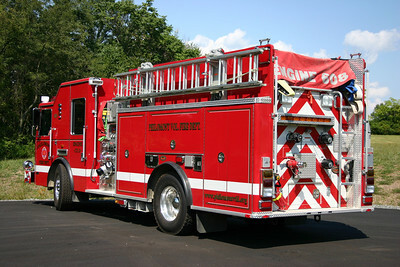 Engine 608B is this 2009 KME Predator equipped with a 1500 gpm tank and larger 1500 gallon water tank. 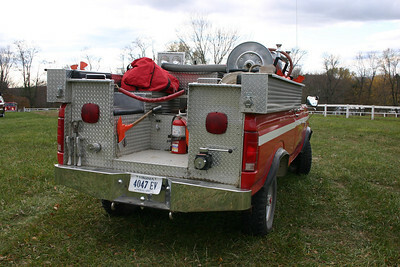 Photographed at the property owned by Philomont VFD (water supply area/horse show grounds). Sold in 2018. 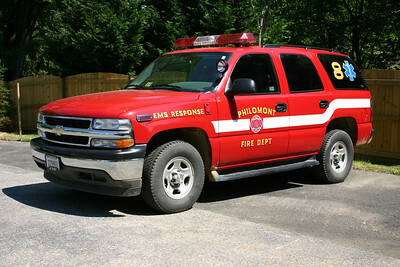 In addition to carrying 1500 gallons of water, Philomont's Engine 608B is also equipped with a 2100 gallon folding tank. A rear view of the 2009 KME running as Engine 608B. 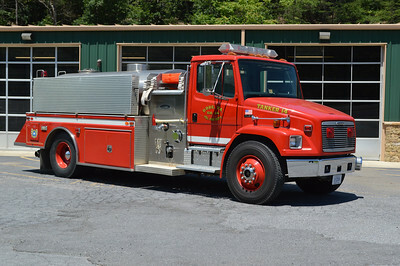 Former Engine 8 from Philomont, a nice 1985 Ford C/E-One, 1000/500, sn- 4112. ex - Burke VFD (Fairfax County, Virginia). 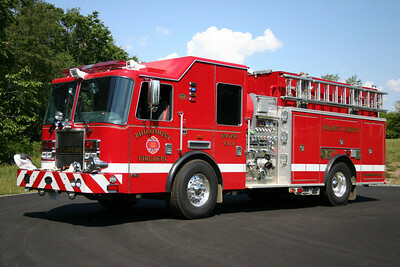 Sold in 2002 to a fire apparatus dealer. 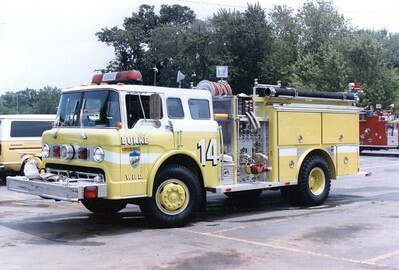 Former Pumper 14, a 1985 Ford C/E-One, 1000/500. Sold to Philomont, Virginia (Loudoun County). 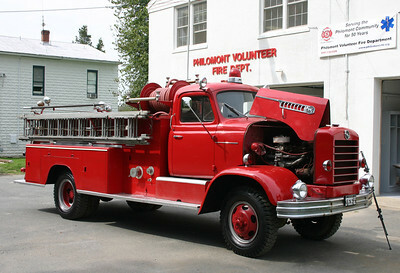 Philomont's first fire truck was this 1956 International/FWD 750/600. It has an interesting history. It was purchased by a local Philomont citizen. He gave the community an incentive that if they built a fire department in Philomont, he would purchase the truck. The station was built and the FWD was purchased. The FWD is now privately owned. Philomont is a community without a great number of hydrants, so the department's apparatus roster has a variety of trucks to bring the water to the emergency, including two tankers. Tanker 608 is a 1996 Freightliner/Semo equipped with a 750/1850. 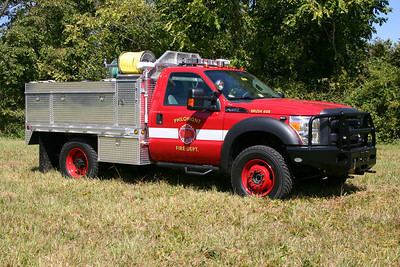 May, 2015 - sold to the Gore VFD in Frederick County, Virginia. 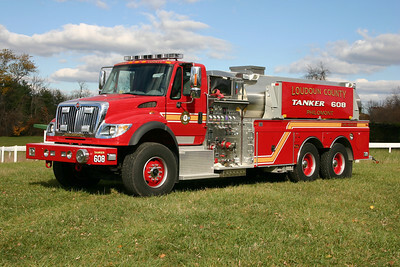 Gore received their "new" Tanker 16 in May of 2015 when they purchased the 1996 Freightliner 80/Semo 750/1850 from Philomont, Virginia (Loudoun County). 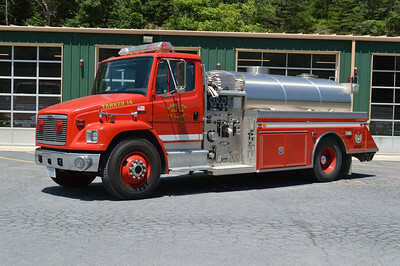 This replaced the 1986 Ford 8000/Alleghany tanker that was destroyed in an accident February of 2012. The officer's side of Tanker 16 as photographed in June of 2015. 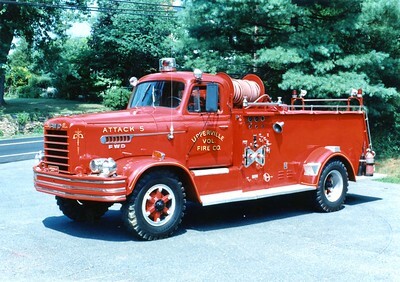 Former Attack 5, a 1962 FWD/1986 local, 500/400. Sold to Linden, Virginia (Warren County), in 1993. ex - Philomont, Virginia (Loudoun County). 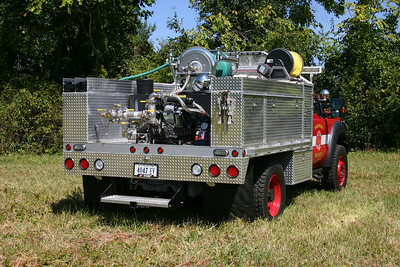 An usual brush truck built by 4-Guys, who specializes in larger apparatus like tankers and engines. 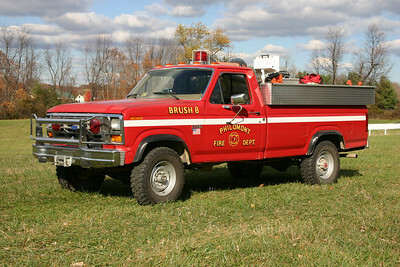 Brush 608 in Philomont is a 1983 Ford F250 equipped with a 250/250. 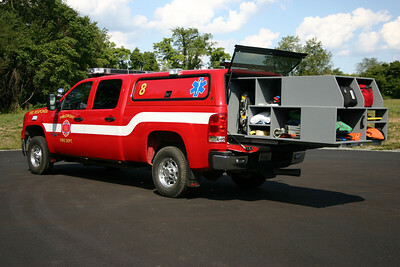 It was replaced in 2012 with a new Ford F450 brush truck. Additional seats are located in the back of Brush 608 for personnel fighting brush or woods fires. 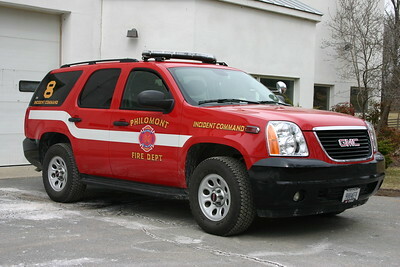 Former ALS 608 is a 2006 Chevrolet that is used as an EMS chase vehicle at Philomont. Sold in 2016 to Keplinger Repair Service. 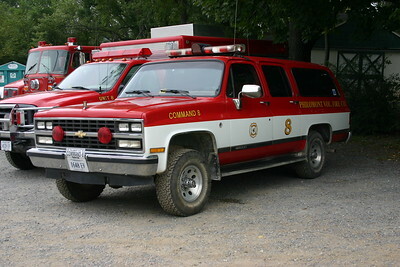 Former Command 8 was a 1990 Chevy Suburban. Sold in 2008. 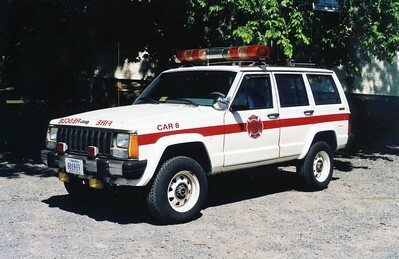 Former Car 8 from Philomont, a 1987 Jeep Cherokee. ex - Fair Oaks VFD (Fairfax County, Virginia). To Philomont in 2002.